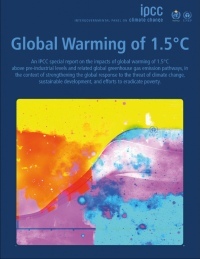 The main output of COP24 is the Paris Rulebook, following the IPCC Special Report 15 that set a 12-year deadline for limiting temperature rise to a maximum of 1.5?. The National Network of Centers for Environmental Ethics (CepEA), founded in 2014, brings together a number of Italian organizations committed to recalling the centrality of ethical issues related to the environment and sustainability and to promoting paths capable of interacting with the world of economics, politics, culture and education. The Jesuit magazine Aggiornamenti Sociali is part of the Network. In view of COP 24, the United Nations Conference on Climate Change to be held from 3 to 14 December 2018 in Katowicze (Poland), the CepEA Network has prepared a new document entitled A Season for Justice to point out the urgency of seizing and indicating the possibilities of transformation of the present moment.